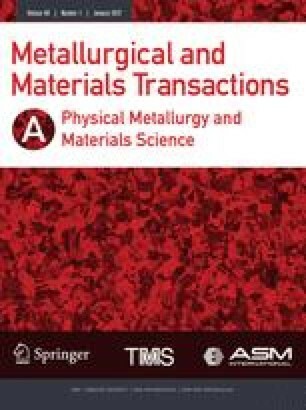 The microstructure of rapidly solidified Al−Mn alloys containing 18 to 25.3 wt pct Mn was studied by transmission electron microscopy. One of the phases found in the microstructure exhibits icosahedral symmetry manifested in electron diffraction patterns having five-fold symmetry. A new structural concept is proposed to account for the observed electron diffraction patterns. The structure is assumed to be composed of many connected polyhedra. Although not forming a regular lattice, such structures are able to produce sharp diffraction peaks. The terminal stability and transformation of the icosahedral phase was also studied and reported.